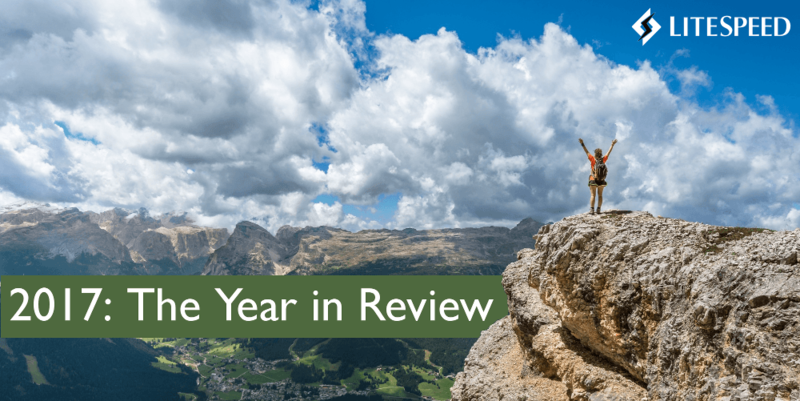 As the year draws to a close, we thought we’d take a moment to look back on our most memorable accomplishments of 2017. It was a year of innovation and growth, and we’re so happy to have had you along for the ride! In 2017, LiteSpeed released the first production-grade mass-market QUIC implementation available for the public. QUIC is the next generation Internet protocol, and is poised to replace HTTP/2. We introduced QUIC support in LiteSpeed Web Server and LiteSpeed Web ADC in the middle of the summer, and it has been a popular feature among our customers. We believe in this technology and so it has been a pleasure to publicly release our open source QUIC Client Library as a way to spearhead widespread adoption of QUIC. Going forward, we are participating in the QUIC standardization process alongside Google, Microsoft, Facebook, and others. Being a part of Internet history is a humbling experience, and we are honored to have a seat at the table. If you missed all of the excitement at the time, you can get the facts about QUIC on our website. Our popular LSCache module for LiteSpeed Web Server and LiteSpeed Web ADC can be configured through rewrite rules. But the easiest approach is through LSCache plugins that are designed specifically for your web app. This year we added the LSCache Module for PrestaShop to our cache plugin family, thereby giving simple cache-management capabilities to LiteSpeed-powered PrestaShops everywhere. Additionally, there’s the so-new-it-hasn’t-yet-been-announced LSCache for MediaWiki! Look for more information about that soon. It’s always exciting to launch a new cache plugin, but we’ve also been having a blast enhancing one of our existing plugins as well: LiteSpeed Cache for WordPress. Over the course of 2017, this plugin has grown beyond cache management to become an all-in-one WordPress optimization solution. Some users are reporting PageSpeed scores of 100%! The reviews have been overwhelmingly positive, and we thank you for that. We’re planning more cache plugins for additional web apps in 2018, so stay tuned for that. Our Web ADC load balancer features High Scalability, High Availability IP failover, Cross Datacenter Replication, Cache Data Synchronization and out-of-the box acceleration for Magento and WordPress. And this year, we added more bells and whistles, including support for QUIC, BoringSSL, TCP_FastOPN, IP2Location, and SecRemoteRules. Additionally, the new ZeroConfig API means you can automate direct third-party management of your Web ADC’s configuration. You’ll be able to replace manual configuration of back-ends and domains using our automated message based interface. If you haven’t given our Web ADC a chance, why not get a trial license and play with it for a few weeks? This year OpenLiteSpeed users got a treat in the form of a shiny new control panel. CyberPanel is the only control panel built specifically for OpenLiteSpeed, and it’s free and Open Source, just like OpenLiteSpeed. Our website got a complete overhaul in April, and we continue to make improvements to it. Around the same time, we added two more social media accounts to our online presence – you can now like and follow us on Facebook and Instagram. We share informational links and behind-the-scenes glimpses of our New Jersey office. In just under one year, we have already reached almost 2k followers on Facebook, and we are so thrilled. A huge thank you to all the LiteSpeeders out there. Keep interacting with us and inspiring us! In turn, we’ll continue to post interesting content. Speaking of interesting content, 2017 was the year we breathed new life into this blog. Since the introduction of WordPress Wednesday in May, we’ve published more than 30 tutorials and explored key caching concepts in detail. Our Developer’s Corner series has provided an opportunity for our developers to write about their projects from a technical point-of-view. This fall, we kicked off a new series, Notes from the Road, which we used to give you a peek into the QUIC Working Group Meeting in Seattle and the cPanel Convention in Florida. We’re loving these ways of communicating with our customers, so look for additional interesting blog and social media content in 2018! This year, our team saw impressive growth. 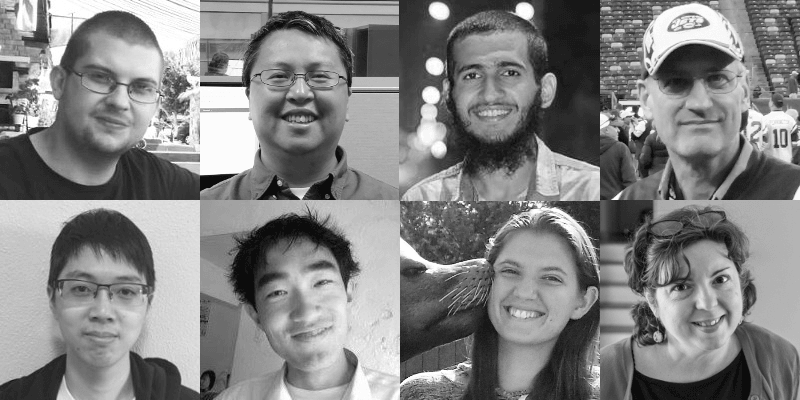 Say hello to 2017’s new faces: Tishu, Wuhua, Usman, Bob, Eric, Hai, Kacey, and Lisa (that one’s me… hi there!). All of the members of the LiteSpeed family – those who have been here for many years and those who are relative newbies – are happy to be here, working together towards the goal of an accelerated internet! New LiteSpeed Cache plugins for other popular web apps. An embedded PHP module for OpenLiteSpeed, which will make OLS the fastest PHP server platform! And that’s just the beginning! Stick with us in 2018 and beyond and see what’s next! From our family to yours: wishing you a happy and healthy New Year!